Long, hot, dusty days are an unavoidable part of operating you Skid Steer, Track Loader or Farm Tractor during the hot summer days. It’s time to say “Enough”! You can now stay extremely cool when you buy and install the CabCon Integrated Air Conditioning Unit in just a few short hours. You’ll now look forward to making the most of every working day sitting in the comfort of your cold Skid Steer or Tractor. A steady flow of fresh, filtered air minimizes fatigue and keeps you or your operator alert for more safe and efficient productivity. 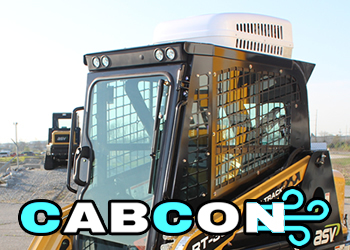 From large Combine Machines to the most Compact Skid Steer Loader, Cabcon will have the right A/C unit to fit your needs, covering more than a thousand different makes and models. Should you ever need to replace any parts after many years of use due to damage or failure, we will have them readily available for immediate replacement so that you may continue use of your CabCon Air Conditioning System. 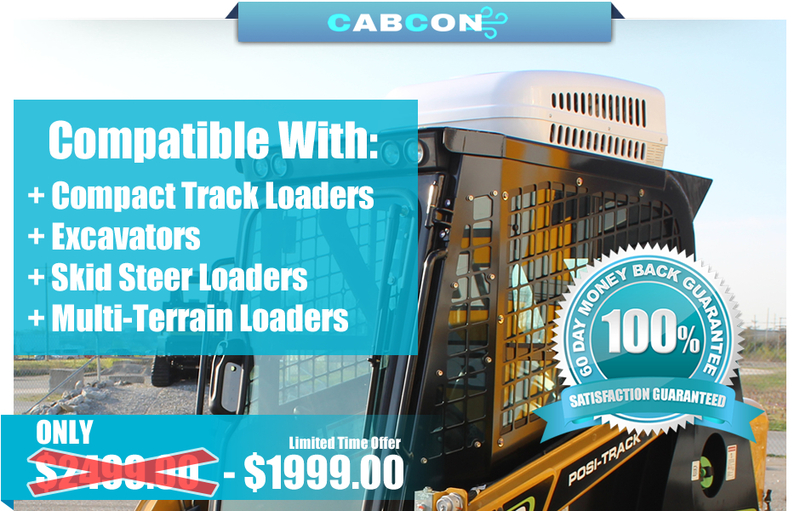 When you call and speak direct to one of our Sales Reps about our CabCon Skid Steer Loader A/C Unit Kits, when can fill your order immediately and ship the same day from Greensburg Indiana direct to you usually within 1~3 business days. Install instructions will be shipped with your order, and we also have easy to follow instructions here on our website. We can also help you over the phone should any questions during the installation arises.